Roman Catholic Saints, Painting above: Dutch Book of Prayers from the mid-fifteenth century. 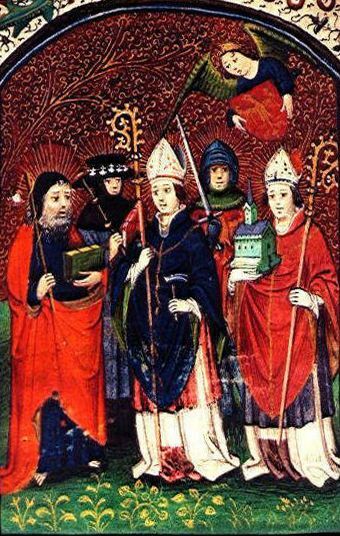 Group of five saints. Welcome to the saints list, saints names. Did you know there is more than 10,000 of them, So it may take some time for me to wright about them all. I will start with some of the more known ones and then some of the more unknown with the story, history and information of there life and when and how they died.